Another yogurt based pachadi which is very simple and healthy. Beetroot has a good nutritional value. It is low in calorie and fat and is a good source of fiber. on medium flame for 10-15 min. 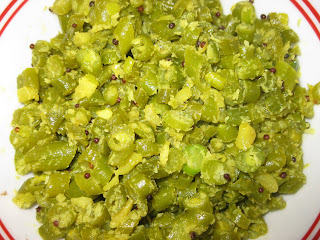 =►Grind coconut, 1tsp of mustard and green chilies and to make fine paste. =►Add grinded paste into the boiling beetroot and allow it to cook for another 5min..
=►After that add 3/4 cup curd (diluted with ¼ cup water) into it and stir it continuously on a sim flame for 1-2 min. 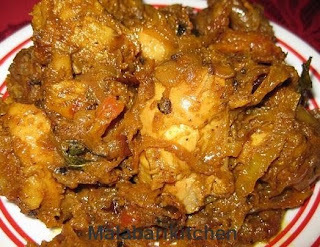 =►Season it with mustard seed, dry red chilies, shallots and curry leaves. I have never tried that...I think that will work..